We are a broad coalition of clergy from across Oklahoma that advocate for local public schools. 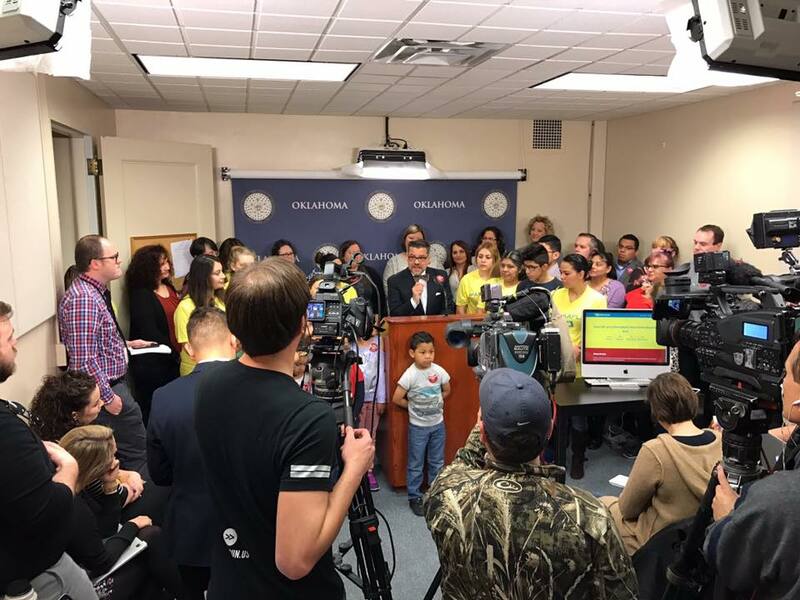 Pastors for Oklahoma kids was formed in 2017 after some initial meetings with a small group of pastors that were becoming increasingly concerned with the negative rhetoric about our good public school teachers and communities. Since then we have sought to advocate, educate, and begun to network a grassroots response from across Oklahoma's clergy to our growing education epidemic. Oklahoma has one of the most severely underfunded public school systems in the nation. To combat this and the wealthy outsiders working day and night to defund, overtest, and demean our schools, Pastors for Oklahoma Kids advocates for kids, encourages our teachers, supports our school support staff & school boards, and educates our communities on what issues face their local schools each election. Schools are failing! Schools are failing! The refrain has become so common among elite outsiders that seek to destroy public schools that it's akin to hearing Chicken Little declare the sky is falling. We don't believe it for a minute. Oklahoma's public schools are filled with dedicated teachers that are servant leaders. They represent the best of us with their incredible dedication to a profession where there are lots of stressful days in the face of little respect from our legislators. Often pastors are apolitical. Indeed many of those who have signed our Oklahoma Pastors Declaration on Public Schools never before felt compelled to be involved much in the political process. But when they walked the halls of their local schools, listened to public school teachers, became fed up with all of the negative, unwarranted rhetoric towards our schools, and grasped the looming crisis - they began to see this was more than politics. We have a divine duty to speak for those that cannot speak for themselves. So often we find teachers and kids unable to do just that. Will you lend your voice to advocate for them?